Though the end of the European Union is inevitable, the proponents of a further integrated or federal superstate are busy making a last effort to achieve their goal. The opposition against the project is mounting with each and every day. Europe is suffering from economic stagnation, and is facing a demographic calamity. repair. France’s problems are much worse than those of Italy. Though Italy has a higher debt-to-GDP ratio than France, France has a larger budget deficit, and the difference is that while Italy has a trade surplus, France has a trade deficit, so the country cannot pay for its imports. While the Italian “populist” Matteo Salvini is earning the nation’s respect, Emmanuel Macron’s popularity is at an historic low. All of France is engulfed by riots, civil unrest and looting. In city after city, village after village, protesters have been clashing with the police for weeks now while President Macron has nothing to offer to appease them, unless he violates the budget deficit boundary of 3%. boasted about it. Yet, the French establishment insisted that those Africans were genuinely French. Dissenters were branded as racists or Nazis. Academia, as well as the political and business establishment, deny what is clear to see for all: French society has lost its economic strength and its spirit. 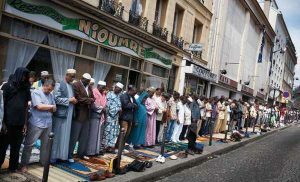 The country was once known for its first high-speed-trains (TGV) and Concorde, but now it is notorious for social dystopia and Islamist attacks. To prove that they are right, the French and European elites will push the multicultural society even further by signing the Global Compact for Safe, Orderly and Regular Migration. Also, the report entitled “Replacement Migration: Is it a solution for an ageing population” is the United Nations’ comprehensive plan for replacing the European population. Now that the heart of Europe is ungovernable, its peripheries will not fare any better. The multicultural and multireligious Bosnia is not sustainable. The borders in the region will be redrawn again, which will come with a price. A war between Muslims and Christians in the Balkans will reverberate in the suburbs of Paris, Amsterdam and Berlin because of the large Muslim minorities there. 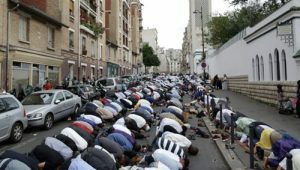 The European establishment has allowed Islam to grow in Europe, and, strangely enough, they believed that European Muslims would feel grateful for such generosity. nineteenth century it was the Europeans who were expanding into China; now it is the Chinese who are trying to gain a foothold in Europe. Chinese investments and influence are growing in the Balkans (pictured). For centuries this part of Europe has been the battlefield between (Orthodox and Catholic) Christianity on the other hand and Islam on the other. Now a new global player has emerged in the region: China. For many Europeans, this part of Europe seems of little importance, but we think that ignoring the Balkans is going to be a fatal error. 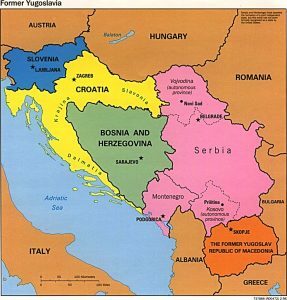 The conflicts there are far from being solved, and the West through its ignorance of the intricacies of the Balkans’ history is stoking the fire by the solutions it implements there.